RESTON, Va. -- LifeFuels, the creator of the world's first portable beverage maker, will be attending CES 2019 with a success story that has been three years in the making. The Reston, VA-based startup attended CES in 2016 where they first pitched LifeFuels. Self-funded at the time, the small team came eager to validate the concept of its product and meet potential partners. 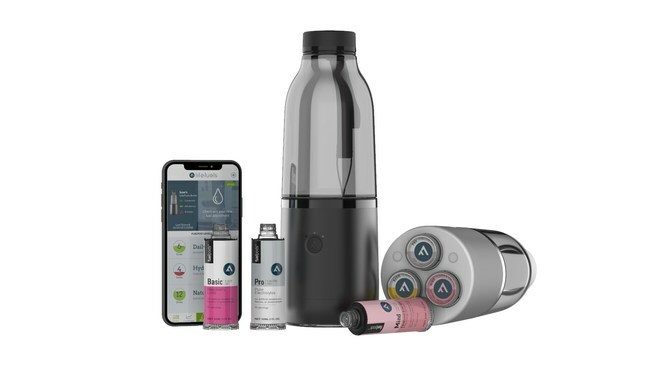 The beverage technology pitch included three components - a sleek technology-packed smart bottle, multi-serve beverage concentrates called FuelPods, and an app that tracks both hydration and nutrition. All three components integrate to empower consumers to create personalized drinks that enhance their health and wellness goals.While exhibiting in 2016, LifeFuels successfully validated their product concept by being named an Innovation Award honoree and a "Best of CES" Finalist by Engadget. The startup also found its industrial design partner, DCA Design, and began a redesign of the bottle. During CES 2017, the LifeFuels team shared the redesigned bottle with industry partners and other attendees. In 2018, LifeFuels was back on the CES show floor with a team of 15, showcasing the portable beverage maker to an excited audience. Another Innovation Award Honoree win helped set LifeFuels apart and increased their visibility. Most importantly, during CES 2018, LifeFuels drew the attention of Keurig Dr Pepper (KDP) executives on the show floor. The companies built a strategic relationship, culminating in Keurig Dr Pepper investing in LifeFuels, closing out their Series-A round. The partnership will accelerate commercialization and growth of the LifeFuels patented, award-winning, portable beverage maker. Bob Gamgort, Chief Executive Officer of KDP, stated, "LifeFuels has created a leading edge, technology-forward drink system that meets an important on-the-go consumer need – staying on track with hydration and nutritional goals. We're excited to partner with them on their growth plans for 2019 and beyond." LifeFuels FuelPods deliver up to 15 concentrated servings of great-tasting, all natural beverages in a variety of flavors, tailored to an activity or lifestyle. From Pre-workout to Recovery and Energy to Sleep FuelPods – LifeFuels offers consumers a healthy choice for most occasions throughout the day. Consumers will be able to mix-and-match flavors and nutritional boosts to craft their own custom drinks in the portable beverage maker directly from the app. The integrated app tracks consumption, nutrition, and hydration while providing consumers with actionable insights to take control of their health and wellness. LifeFuels received a patent on its portable beverage maker in 2018 and will be on the market in 2019. "I've been to a lot of trade shows over the course of my career, but I've never experienced anything that was as successful and as productive as the two times we've exhibited at CES," says LifeFuels CEO and Founder, Jonathon Perrelli. "We're ready to disrupt the beverage industry with technology that provides the drink options of a grocery store aisle in one very smart bottle." Perrelli and his team will be attending CES again this year to meet with distribution, retail, industry, and media partners. "After closing our Series-A round, we're looking forward to attending CES 2019 focused on growing our distribution and reach," says Rob Lawson-Shanks, LifeFuels CTO and Founder. "Consumers were initially interested in LifeFuels based on the design of our bottle, but we expect that they will also enjoy the flavor and functionality of our beverages, while utilizing the actionable insights provided by our app." LifeFuels is a beverage technology company and creator of the world's first portable beverage maker. 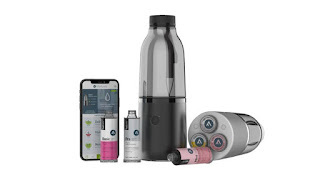 Founded with a mission to help people feel better from the inside out, the LifeFuels portable beverage maker integrates three components - a sleek technology-packed smart bottle, multi-serve beverage concentrates called FuelPods, and an app that tracks both hydration and nutrition. The three part system empowers consumers to create personalized drinks that enhance their health and wellness goals. The LifeFuels bottle will be available to consumers in 2019.